3GPP and mobile industry announce first 5G standalone specifications. The mobile industry, together with the international standards organisation 3GPP, have announced that that the 5G standalone specifications have been officially approved which will lead the way to the commercial rollout of 5G in the US this year and the rest of the world next year. Last year, 3GPP approved the first 5G non-standalone specification allowing device and network manufacturers to develop the first 5G products that made use of existing 4G/LTE networks. With the announcement of the completed specification, developers can now choose to use a standalone 5G standard which does not rely on 4G or the earlier non-standalone 5G standard. 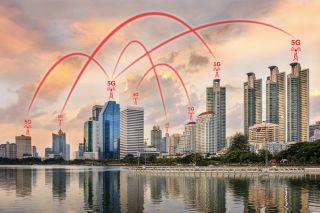 The final “Release 15” 5G standard is no small feat and it took 34 months of individual and collective engineering accomplishments to achieve. 3GPP brought together 1,500 experts in Busan, South Korea this May to complete Release 15. 3GPP's recent sessions were attended by over 600 delegates from a wide range of mobile network companies including AT&T, Deutsche Mobile/T-Mobile, Intel, Qualcomm, Dish Network, Verizon and others. The leading British, European, Chinese, Japanese and Korean hardware and network companies were also in attendance.